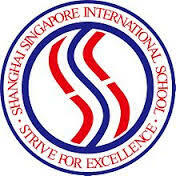 Home»Shanghai»Do the International Schools in Shanghai Offer Good Quality for Expats Kids? When it comes schooling options, expatriate parents should not worry as Shanghai has a large selection of international schools (exclusively for expatriate children)compared to other Chinese cities. There are more than 40 International schools and kindergartens, with many of them featuring state-of-the art facilities. Parents select schools based on a number of factors including curriculum, nationality, religion or proximity to home location. Curriculum options include the British, Canadian, French, German, Japanese, Korean, Singaporean and US systems, as well as the international baccalaureate (IB programs).Graduates from these schools ar accepted at the world’s leading universities and they may be viewed even more favorable because of their overseas education. Many of the international schools are dispersed in the following areas: Hongqiao, Changning, Pudong (especially: Lujiazui, Jinqiao, Century Park).The above mentioned areas feature large land plots and are considered the ‘new establishment ‘in Shanghai. 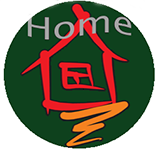 Choice of suitable family housing for expats is also abundant in those areas. Almost all Schools make arrangements for school bus transportation. It shouldn’t be an issue although fees are payable to the schools. During school visits do not judge the quality of a school based solely on their facilities as there are some very good schools with excellent instruction and happy students, but limited facilities. Nevertheless, good facilities and make a difference in the overall experience and level of opportunities for the children and schools are constantly working to improve these. Look for the size of classrooms and what they contain, a well stocked library, music and theatre venues, well-equipped science labs, computer equipment, gymnasiums, sports grounds, swimming pool, etc. Who will be teaching your children? Where do they come from? What are their qualifications? How long have they been in Shanghai? For Primiary School it is recommended to meet the reached currently teaching there and /or the teacher your child will have once registering. A positive impression is obviously important.